Enjoy the sand, sunsets and snorkelling from this land for sale in Gili Air, just off Lombok, by Eugene Shivnan from Exotiq Property Bali. 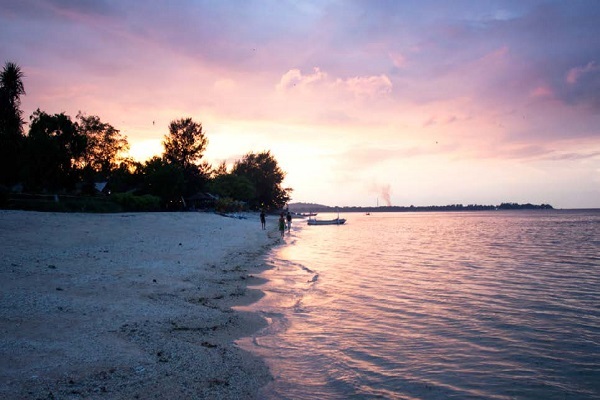 For many, the island of Gili Air offers the perfect vibe, falling somewhere in-between Gili T's sophistication and the less-is-less Gili Meno. The white-sand beaches here are arguably the best of the Gili bunch and there's just enough buzz to provide a dash of nightlife. This plot of freehold land is approximately two minutes from the main strip, a sandy lane dotted with bamboo bungalows and little restaurants. You will love strolling along your very own private absolute beach frontage lapped by crystal waters, enjoying the views of Lombok to the east, and sunsets to the west. Gili Air is great for snorkelling. "You can develop the land, which is ideal for a luxury resort and an exclusive beach club and restaurant, catering to tourists who want something special. This is probably the best available plot on the island and the asking price is at least 30 percent less than others of similar size." says marketing agent Eugene Shivnan from Exotiq Property Bali. The property has a Hak Milik/Freehold title.